OVER the decades, legendary music label Motown has produced some of the biggest names in soul. From the Jackson 5 through to Marvin Gaye, Motown has provided the music world with an endless stream of classic songs. One act that left a lasting impression at Motown was The Supremes. Now, the music of The Supremes continues in The Sounds of the Supremes which is set to appear at West Leagues Club on Wednesday, October 19. Since forming in 1989, The Sounds of the Supremes, led by Kaaren Ragland who is a former member of original Supreme Mary Wilson's group, have achieved plenty of success around the globe. Carrying the torch of one of the world's best- loved girl vocal groups, The Sounds of the Supremes perform more than 20 of The Supremes' biggest hits. Ragland was an original member of The Supremes from the late '70s through to the '80s before founding her current band in the late '80s. ``It's not a concept show,'' Ragland said. ``Our approach is to be true to the original music. But we've also enhanced it. 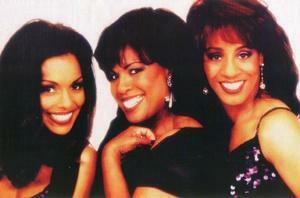 ``I was in the original Supremes so I know all of the show's harmonies. And where we used to sing two- part harmonies, well now we've made them into three-part harmonies and fleshed out the sound. ``And as for the choreography, we use a lot of the germ of the original choreography that was done by Charlie Atkins, but we've enhanced it a bit and made it a little more contemporary.'' She is joined on stage by Kathy Merrick and Althea Burkhalter who are both blessed with soulful singing voices that stay true to The Supremes' sound. Tickets are on sale now and bookings can be made on 4935 1200.